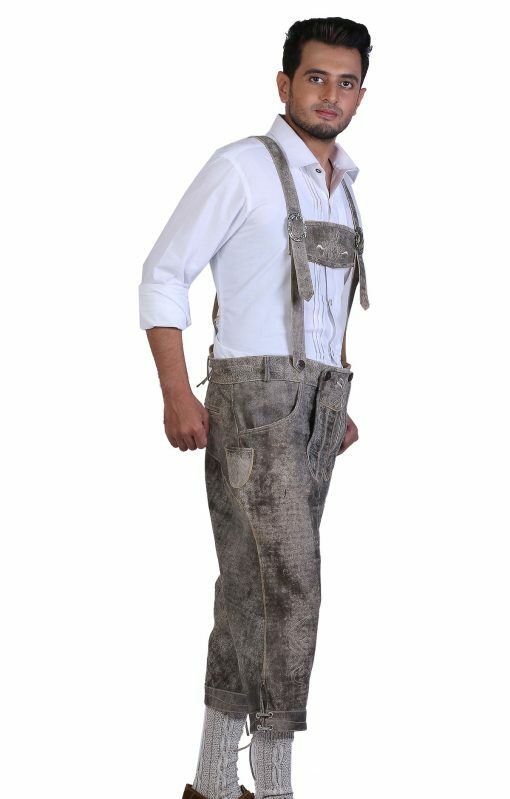 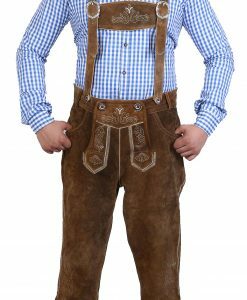 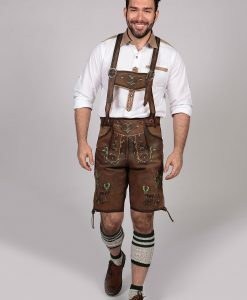 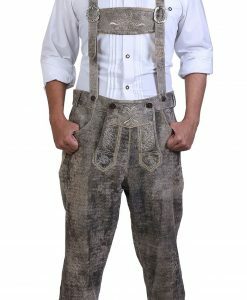 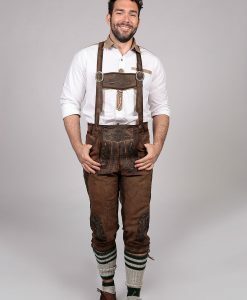 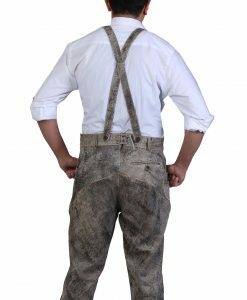 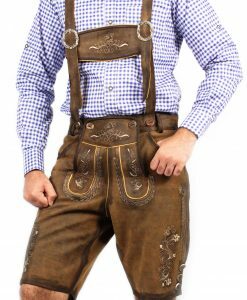 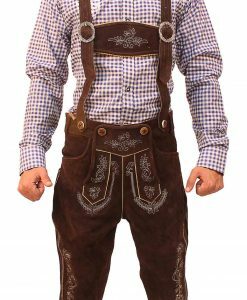 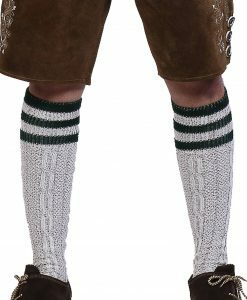 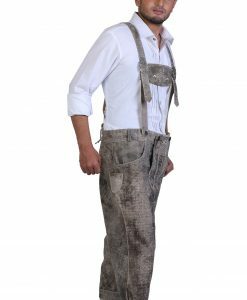 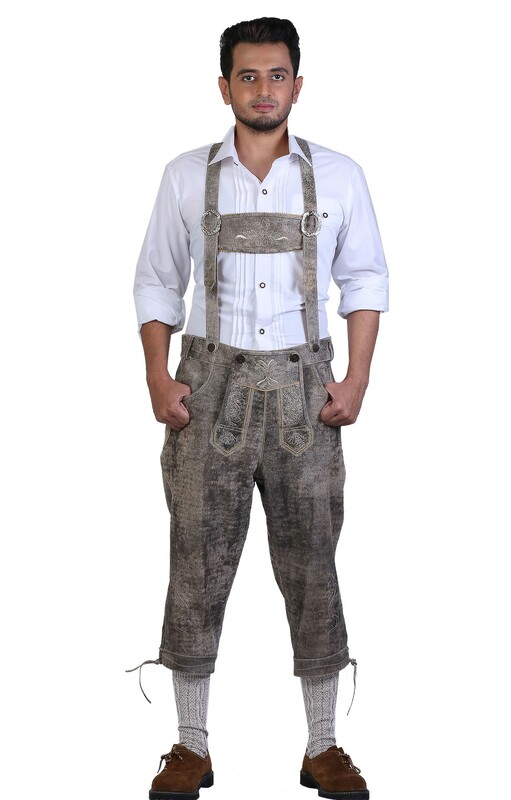 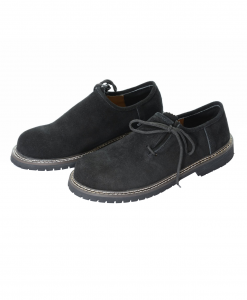 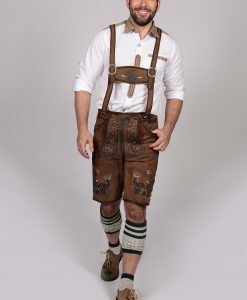 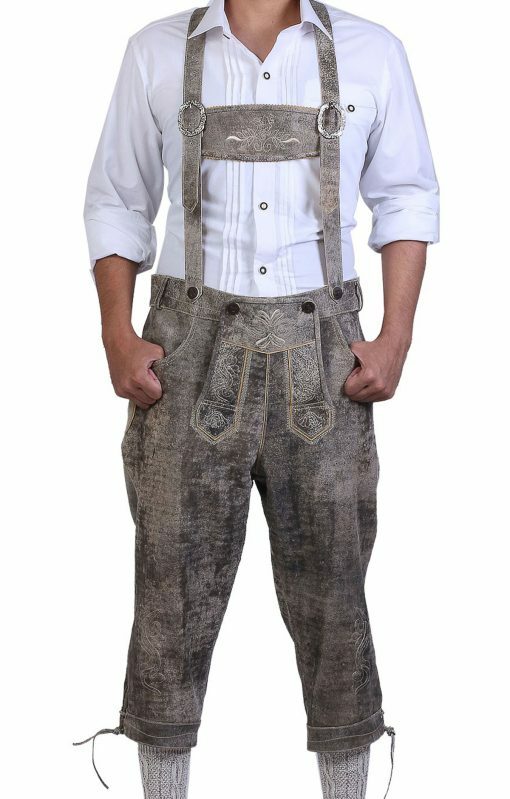 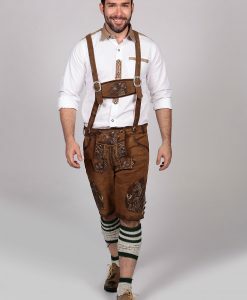 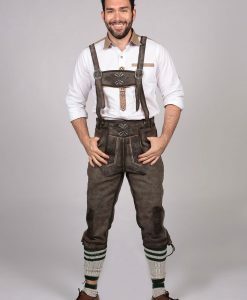 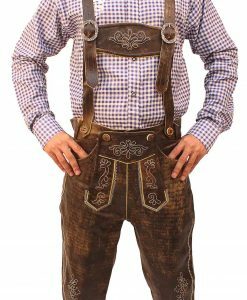 These knee length Trachten Lederhosen in Gray slate are made from 100% high quality suede leather. 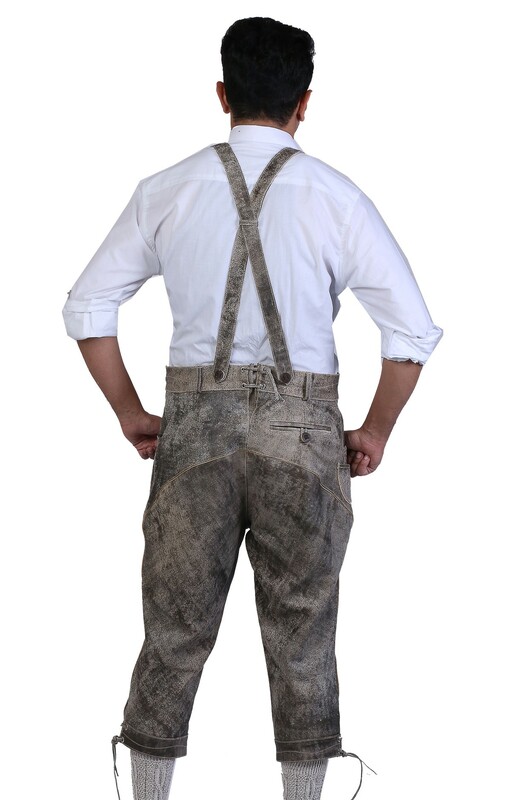 These Bundhosen knee long trousers in soft leather are classical and very traditionally German. 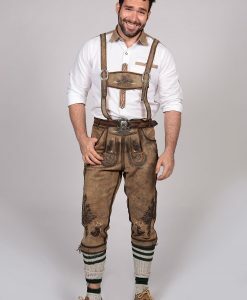 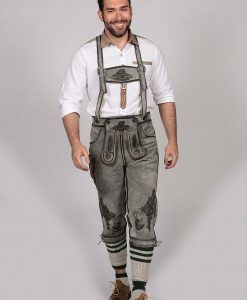 The variation in leather shades on these Bavarian lederhosen adds character and the lush sliver and ivory tone embroidery on bib and front compliments the Oktoberfest outfit statement. 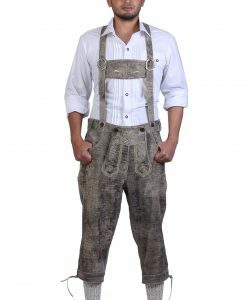 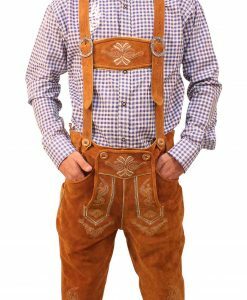 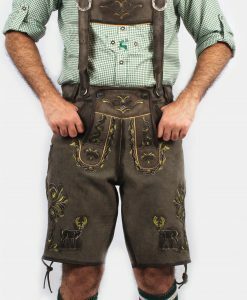 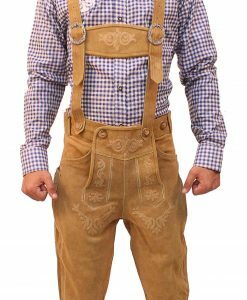 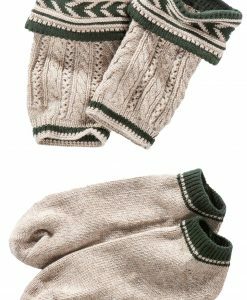 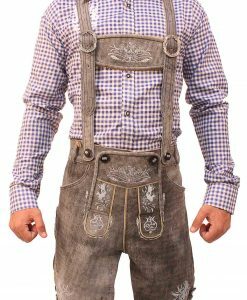 The straps are adjustable by means of silver buckles and removable from the tradition horn buttons at the front of these menÂs lederhosen. 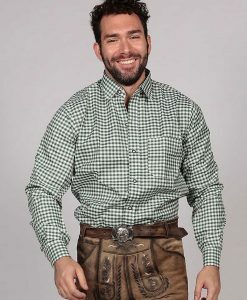 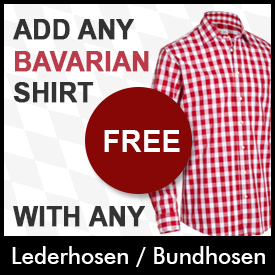 Intricate stitching, high quality leather, and color perfection of these authentic lederhosen look even better when aged and the more your wear them.